Yadin Park is a talented alt-country musician whose career has floundered—doomed first by his homely looks and lack of stage presence and then by a progressive hearing disorder. His girlfriend, Jeanette Matsuda, might have been a professional photographer but for a devastating heartbreak in her teens. Now Yadin works for Jeanette’s father’s carpet-laying company in California while Jeanette cleans rooms at a local resort. When Yadin’s former lover and musical partner, the celebrated Mallory Wicks, comes back into his life, all their most private hopes and desires are exposed, their secret fantasies about love and success put to the test. Drawn to the music of indie singer-songwriters like Will Johnson, who helped shape the lyrics in this book, Don Lee has written a novel that unforgettably captures America’s deepest yearnings. Beautifully sad and laced with dark humor, Lonesome Lies Before Us is a profound, heartfelt romance, a soulful and memorable song. 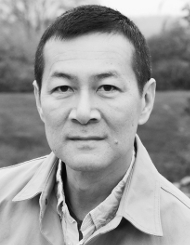 Don Lee is the author of the novels Lonesome Lies Before Us, The Collective, Wrack and Ruin, and Country of Origin, and the story collection Yellow. He has received an American Book Award, the Asian/Pacific American Award for Literature, the Sue Kaufman Prize for First Fiction, the Edgar Award for Best First Novel, an O. Henry Award, and a Pushcart Prize. He teaches in the MFA program in creative writing at Temple University and splits his time between Philadelphia and Baltimore.